Outlook: The preseason favorite to win the county title has entered its second year of a newly designed pass-and-pick style offense behind steady scorers Concannon and O'Keefe. Outlook: The defending state champions have an edge against most teams with Phil Brady taking faceoffs. Yevoli, Barnathan and Tierney comprise one of the Island's top midfield units. Outlook: Froccaro is an ace at faceoffs and can score goals. Neil is a 6-5 menace on defense and has returned after an injury-riddled season. Outlook: Clark could have a big season after scoring 22 goals and adding 13 assists. Outlook: DeLuca, who saved 67 percent of shots against him last year, according to Hartranft, leads the perennial playoff team on defense. Outlook: Look for Papach to finish in transition when the Generals unleash their up-tempo style of play, led by midfielders Peluso, DelGrosso and Hawkins. Outlook: After missing the playoffs last year, returning seniors York and Warner will attempt to get the Bruins back to the postseason. Outlook: Lang, who is committed to Ohio State, University, is one of the county's top scoring threats. The senior-laden team could surprise. Outlook: Cameron is the focal point of the offense and Schenck will lead the defense. The Hawks will look to push the ball. Outlook: Young squad will look to improve under first-year coach. Outlook: Team will endure a rebuilding year behind Leccese, a capable scorer. Outlook: The third-year program greatly improved with its first winning season and is looking to take the next step. Ollie St. Louisluis, S, Jr.
Outlook: Carey scored 17 goals last season for rebuilding team. Outlook: Mingo, who made more than 100 saves, leads the young team that will look to learn from the challenges it faced last season. Outlook: Bouhall and Barrett, one of the Island's toughest defensive duos, lead the defending county champion. Purdie, who had 51 goals last year, provides the scoring. Outlook: Keogh, Gavin and Dunn are three of the county's most skillful playmakers and they each handle the ball very unselfishly. Outlook: Tierney had 46 assists last season and could add a few more because the team returns plenty of depth. Outlook: Parker, who picked up 70 ground balls last year, can shut down the opposition's best scorer. LiCalzi is very steady in the cage. 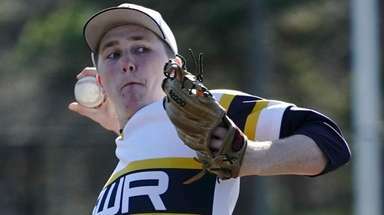 Team could make deep postseason run. Outlook: Goettelmann is in his fifth season as a starter. He picked up 113 ground balls last year. Could be a very improved group. 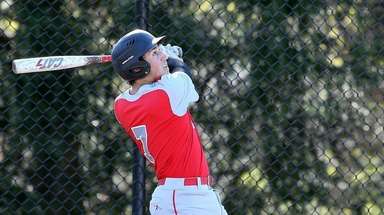 Outlook: After being a perennial powerhouse in Class C, the Quakers move up to a new conference. The defense is young, but Tam is a capable goalie. Midfield is a strength. Outlook: Gritty group will play an up-tempo style. Kahn is an aggressive defender who racks up ground balls. Outlook: The senior-laden group will look to improve under the first-year coach. Outlook: One of the most improved teams last season will look to take the next step and grab a playoff spot. Outlook: Goldberg earned All-County honors and anchors the defense with Askenase. Outlook: Horan is a top-notch defender. 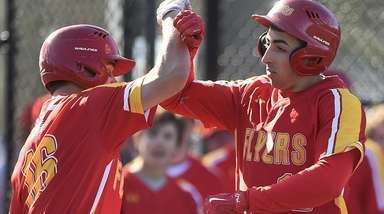 Brothers Mike and Nick DelGiorno could have big scoring seasons. Outlook: Kirk returns to lead the offense after scoring 61 points last season. Riley could provide help offensively. Outlook: Peet is a four-year starter. Team returned eight starters. Outlook: Malik Leid and Quran Simmons, both juniors, each scored 16 points last season and return as the leading scorers. Outlook: Wright and Borges provide the Trojans a formidable righty-lefty duo defensively. Sullivan, a faceoff savant, will have a major role offensively for second straight season. 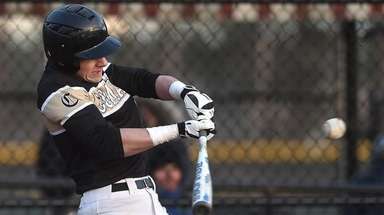 Mike De Leo, M, Sr.
Outlook: Spillane, who is headed to Penn State, is one of Long Island's top scorers. Gallant leads a senior-laden group on defense. Outlook: Usually in the mix for a playoff spot, the young team could receive big offensive seasons from three-year starters Beckwith and Vasheo. Outlook: Varian and Parler each scored more than 30 goals last season. Team returned more depth than usual. Outlook: Miller is adept at clearing in the net, and Kaufman and Dolan could be prime for big scoring seasons. Outlook: Goal is to make the playoffs. John Rooney and Tom O'Connor are two capable goalies who will share playing time. Outlook: The defense and attack units are experienced. Racalbuto led the team in scoring last year. Outlook: Doreste and Greben give the Rebels a strong midfield. Jeremy Maybaum, a senior midfielder, will take the majority of the faceoffs. Outlook: Rodgers and Calisto are expected to provide much of the scoring, Vissichelli said. 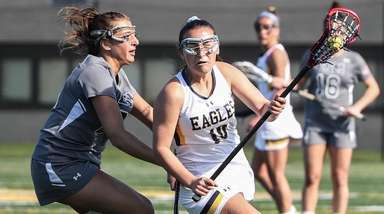 Outlook: Behind Chiarello, who racked up 75 ground balls as a freshman, and Gardella, the team's offensive leader, they'll be in the mix for a final playoff spot. Outlook: Militano (40 goals) and Mighty (20 goals) provide some scoring punch. Outlook: With three Division I-commits (Marciano, Cipriano and Capelle), the team is on the rise and is one to watch out for. Outlook: With some experienced players back, the goal is to finish .500. Outlook: Will likely be a rebuilding year. 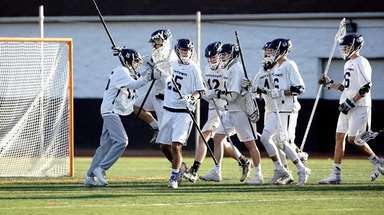 Outlook: The preseason favorite to win the county title has a new addition on defense: longstick midfielder Matt DeGennaro transferred from Chaminade. He could help an aggressive group. Taylor Strough could have a big season offensively. Outlook: The Madsen twins, who have verbally committed to St. John's, lead the defending county champion. Mike Madsen had 43 goals and 28 assists last year and Joe Madsen had 40 goals and 27 assists. Outlook: One of Nassau's most improved teams will look to take the next step and could appear in the county final. Gerstner (41 goals) is a solid scoring threat. Outlook: Could make some noise in new conference. Buell is a vocal leader. Danny Connell could rack up goals after earning a starting role as a sophomore last year. Outlook: Schindler made 118 saves as a freshman. Carchietta is a solid passer (33 assists) who could lead the Baymen back to the playoffs. Outlook: Team returns a solid mix of young players and experience. Outlook: Hackett is a three-sport athlete who provides toughness and experience. Outlook: The young team has a bunch of returning three-year starters, who are looking to learn from previous seasons. Outlook: As a second-year starter, Henken will be counted on to anchor the defense for the young team. Outlook: Will be a rebuilding year with the goal being a winning season.